There are multiple reasons why you or your business should accept Ethereum. 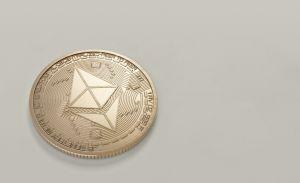 Ethereum (ETH) is predicted to become the most important global cryptocurrency after Bitcoin. In the meantime, Ether is already gaining traction among various businesses, which is why we give you five reasons to accept Ethereum or at least consider it if you do not want to risk being left behind. Money makes the world go round, and that is the most important reason why your business should accept ETH. Yes, Ethereum actually allows you to keep more money in your pocket, as it dramatically reduces the transaction costs you have in dealing with your customers. Be it a payment system such as PayPal or a regular bank; ETH will offer you more competitive transaction costs than conventional methods which actually profit from being middlemen in this case. The second reason on the list also indirectly relates to money. If time is money, then Ethereum will allow you to save both, since the transactions with ETH are processed within minutes. There is no reason to wait for the money to get to your bank account at a snail’s pace. Businesses have never been globalized to a greater degree than they are today. Failing to catch up with this trend can benefit your competitors and damage your company. Cryptocurrencies like Ethereum allow you to procure goods for your business from other countries without having to worry about currency exchange rates. Similarly, your customers from abroad will feel closer to your business if they do not have to take into account various conversion fees that come with using a diverse range of currencies. Speaking of customers, you cannot have too many of them, can you? Adding a payment option which involves Ethereum will expand your business’ reach and allow you to tap into the crypto enthusiast community and beyond. An additional payment option can hardly hurt your business as it will benefit your business efforts by offering more flexibility to your customers. With Ethereum, frauds and scams will quickly become a thing of the past, as paying with it does not require you to enter any personal or account data. With ETH, this process will become much more natural, and the customers will feel safer once they have an opportunity to buy from you without unnecessary risks and while enjoying the benefits of anonymity. Additionally, your online business won't ever suffer from chargeback frauds again, too, since it is impossible to reverse Ethereum transactions. Besides, Ethereum projects like Monetha (MTH) and UTRUST (UTK) are working on reputation management systems that will record every fraud on an immutable ledger. Making Ethereum as one of your payment options can be as simple as getting an ETH wallet address and making it visible on your site. However, that may not entirely satisfy your business needs. You will be glad to learn that there are services that help you to accept ETH payments and pay out fiat directly into your bank account. Here are some of the most popular Ethereum payment gateways that can help your business to accept Ethereum payments. Some of the services also enable you to accept other altcoin payments, which may be beneficial for your business, too.